You’ll be hard pressed to find anyone that had a more productive year than Pharrell Williams. Following a year in which the polymath sat atop the pop charts with his Daft Punk and Robin Thicke collaborations, the Virginia native opened 2014 with the release of his highly-anticipated and long overdue second studio album G I R L. With its lead single “Happy” in heavy rotation, G I R L peaked at number one in 12 different countries earning him a Best Album nomination among others in the forthcoming Grammy Awards. 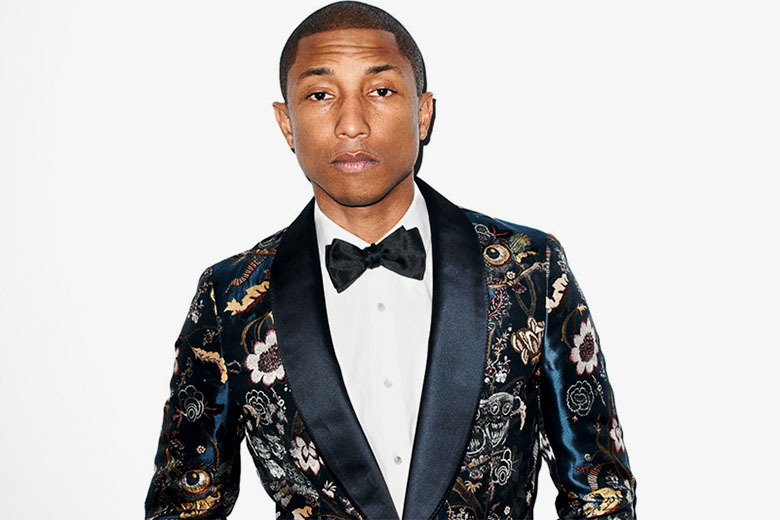 Nevertheless, music was only a small portion of Pharrell's creative output in 2014. Skateboard P, as he is affectionately known, produced a line of heritage sportswear with adidas Originals, starred in Karl Lagerfeld's upcoming Chanel film, scored a star on Hollywood's famous Walk of Fame, teamed with CDG on a new fragrance, published a book, partnered with NIGO's Tokyo cafe to create a signature Pharrell Burger, and so much more. He did so much that we even published a #POLLS piece that asked "Are we facing Pharrell overload?" Short answer, no.